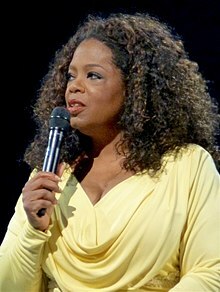 Winfrey's first name was spelled "Orpah" on her birth certificate after the biblical figure in the Book of Ruth, but people mispronounced it regularly and "Oprah" stuck. She was born in Kosciusko, Mississippi, to an unmarried teenage mother. She later said that her conception was due to a single sexual encounter and the couple broke up not long after. Her mother, Vernita Lee (1935–2018), was a housemaid. 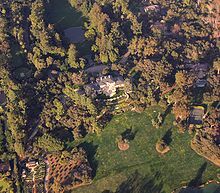 Winfrey's biological father is usually noted as Vernon Winfrey (born c. 1933), a coal miner turned barber turned city councilman who had been in the Armed Forces when she was born. However, Mississippi farmer and World War II veteran Noah Robinson Sr. (born c. 1925) has claimed to be her biological father. ^ a b "Oprah Winfrey Biography and Interview". www.achievement.org. American Academy of Achievement. 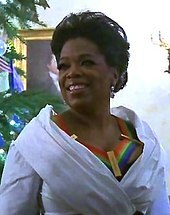 Winfrey has said in interviews that "my name had been chosen from the Bible. My Aunt Ida had chosen the name, but nobody really knew how to spell it, so it went down as "Orpah" on my birth certificate, but people didn't know how to pronounce it, so they put the "P" before the "R" in every place else other than the birth certificate. 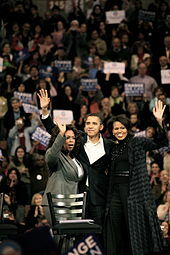 On the birth certificate it is Orpah, but then it got translated to Oprah, so here we are." 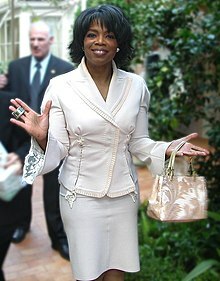 ^ a b Winfrey has said in interviews that "my name had been chosen from the Bible. My Aunt Ida had chosen the name, but nobody really knew how to spell it, so it went down as "Orpah" on my birth certificate, but people didn't know how to pronounce it, so they put the "P" before the "R" in every place else other than the birth certificate. On the birth certificate it is Orpah, but then it got translated to Oprah, so here we are." "Oprah Winfrey Interview". Academy of Achievement. January 21, 1991. Archived from the original on January 19, 2016. Retrieved August 25, 2008.